Buff'd Cosmetics recently sent me their products from their Fall 2012 Collection to try out! This collection consists of seven different fall shades that are separated into three perfectly coordinated collections! If you don't know much about Buff'd Cosmetics, they offer all-natural mineral makeup products that are completely free of irritants and toxins that can be harmful to your skin. Their products are formulated using only the purest minerals and pigments, oils and waxes, and natural preservatives and fragrances. Pallas is a dark rose toned lipstick. This applied really smooth and didn't make my lips feel dry at all! Forever is a sheer light pink lipstick. I had to put on a little more of this product than I would with the lipsticks I normally use in order to get it to show up on my lips. Aside from that, this is a really pretty, casual shade that I really liked. Ribbons is a very sheer medium-pink toned blush. When I tried this out, I put it on my cheeks and then brushed a light layer of my foundation over it. It looked awesome and lasted all day! Constance is a very interesting color that is along the lines of a burnt orange shade with a light gold shimmer to it. 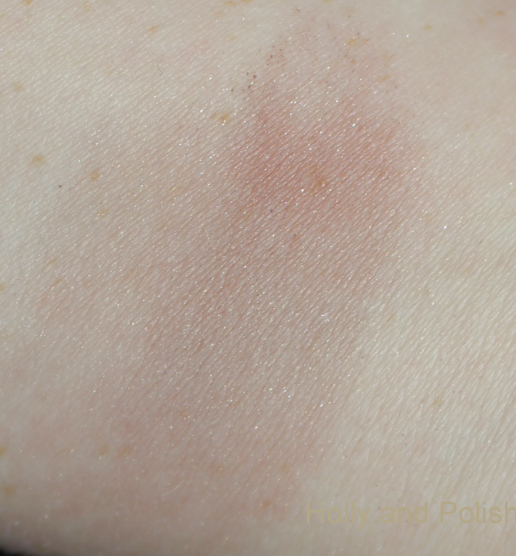 This applied great and lasted all day, but I had a hard time creating a look with this shade since my skin is so light. 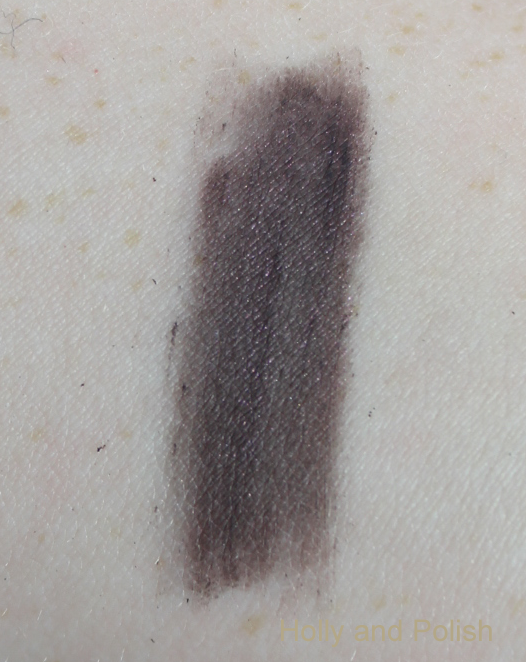 Morellow is a very dark brown shade with a hint of shimmer to it. When I tried this out on my eyes, I applied it wet, which worked awesome! The color was very dense and looked great. Since this eye liner is in mineral form, you could also use it as an eye shadow in your crease. 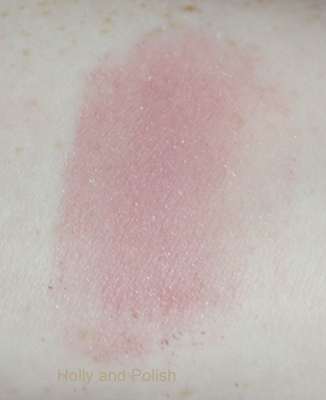 Smoulder is a dusty light pink shadow with some minimal shimmer to it. I have no complaints about this one, and I think this would look really great for someone who prefers a more natural look! 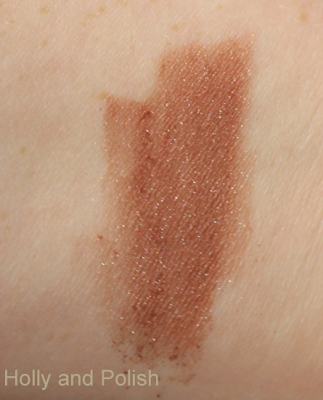 Eve is a metallic rose gold toned shadow. This is very pigmented. 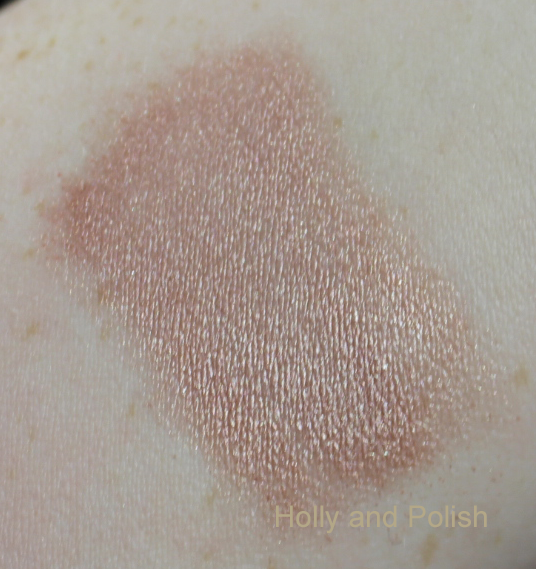 I think this is a beautiful color that would work well on people of all different skin tones! Also, Buff'd Cosmetics currently has a sale going on through Friday, October 5th! If you want to check out their fall collection or any of their other items, you can visit their website here!